Today marks 50 days until the Clipper Race fleet arrives in Derry-Londonderry, Northern Ireland, to conclude a 3-race, 6-year, relationship which has seen its transformation as the UK’s first City of Culture to being positioned alongside the world’s most famous destinations as part of a sustainable legacy of trade, tourism and community development. Before the Clipper 2015-16 Race even got underway, there was already chatter and excitement about the popular stopover in Derry-Londonderry scheduled for July 2016 as part of the Homecoming Leg. Among well-renowned and impressive stopover destinations around the globe such as Rio de Janeiro, Cape Town, Sydney and New York, this Host Port holds its own, as the Northern Irish city throws its arms open wide to welcome the Clipper Race crew and supporters. 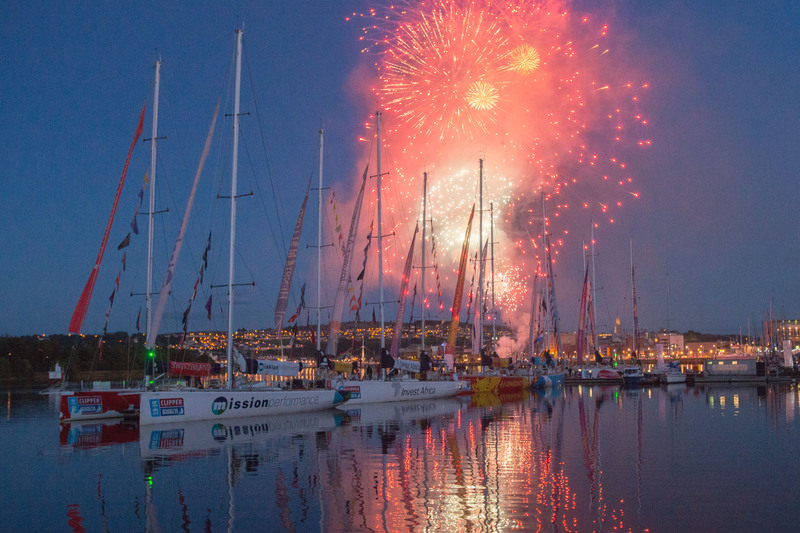 This is the third time the race has visited Derry-Londonderry and the hospitality and warmth exuded by the locals has made it an exciting and fitting climax after the final ocean crossing in the 40,000 nautical mile circumnavigation. The Foyle Maritime Festival which is centred around the stopover will run from 9 – 17 July and promises to be even bigger and better than ever before. When the fleet begins to arrive around 7 July, the banks of the River Foyle will be lined with well-wishers, happy to share their historic city with our international crew. The festival kicks off in earnest on 9 July inside the Walled City, before moving down to the Quayside from 13 July. Showcasing all the city’s finest assets, there will also be a food festival at Ebrington Square called Clipper Race Kitchens where celebrity chefs will host live cook offs and food vendors will tempt you with tasty local produce. There will be free public open boat tours on the quayside but you can also go one step further and register for a free motorsail on board a Clipper 70 on certain days throughout the festival. For more information on dates and times, visit the What’s On page on the Foyle Maritime Festival website. As the stopover has been a huge success in the past, local businesses are keen to support the festival and some are working with the council to be Team Hosts for the Clipper Race crew. All twelve teams have a local business there to support them and hold an event in their honour during the stopover. More details of what they have planned for the teams will be revealed in due course. The Clipper Race fleet leaves New York on 20 June and is expected to arrive in Derry-Londonderry between 7-11 July. For more information on the festival, places to stay and what to do in Derry-Londonderry visit the Foyle Maritime Festival website.